Gone Girl has taken the book world by storm! Gone Girl by Gillian Flynn has been on the bestsellers list for 83 weeks! That’s almost 21 months or over a year and a half. Man do people love this book! And I can see why… kind of. Yes there’s a but. I hated everyone in this book! The husband, the wife, the parents, the detectives, EVERYONE! But this little fact didn’t make me hate the book; in fact I give Flynn credit for creating people so horrible you truly hate them, as if they’re real people. And through my haze of distain I was engrossed in the plot. Did he? Didn’t he? What and who is to be trusted? What happened? 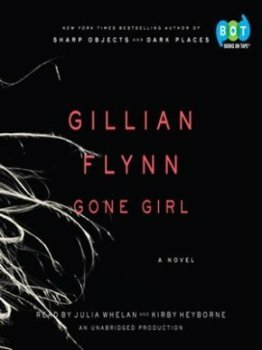 While I won’t ruin it for you, I’d definitely say to check out Gone Girl and find out what the craze is about, the library has it as a good ol’ fashioned book, an eBook and an audio book.